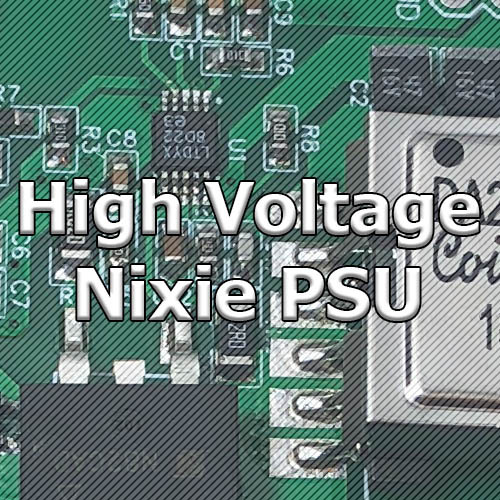 Home » Project » Big VFD Display: Progress Report! Big VFD Display: Progress Report! 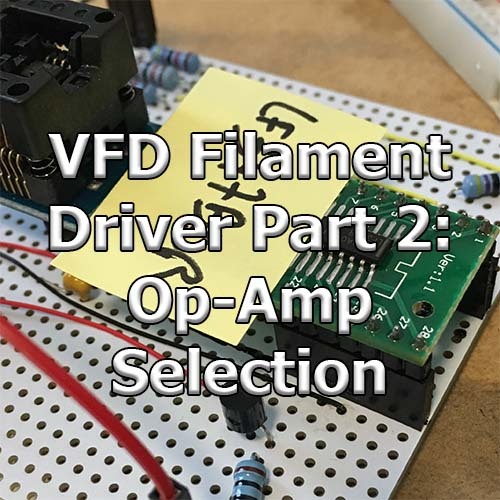 I have been talking about VFDs for a long time now, mainly how to power them. 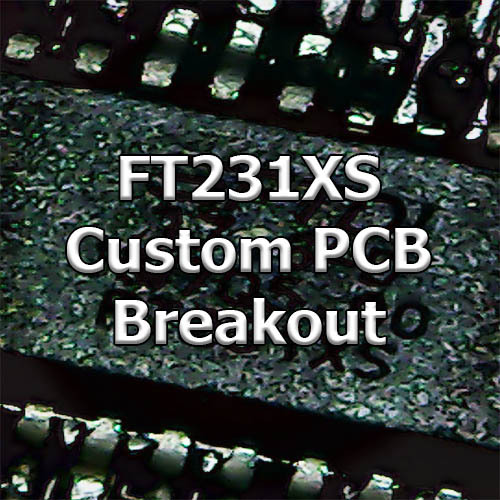 I now have my PCBs for 12 IV-25 tubes ready and soldered! You have to imagine this panel upright, 6 of them side by side. That will give a total area of 42 * 12 “pixels”. The display will be run by a ESP32 core, but the rest of it is completely up to me still. Of course the clock will be its most basic function but I’m also thinking Bluetooth/web radio player and maybe other things like the weather. The main board design is far, far from complete. I originally bought 100 VFD tubes from eBay. Unfortunately I could not complete the 6th board, even though I theoretically needed only 12*6 = 72 tubes. Many of them had issues: some just simply did not work, but most of them had missing leads or at least leads that broke off due to corrosion/rust. In some instances I managed to carefully “restore” a lead if it was slightly too short, but I had to discard many tubes. These VFDs are from 1981 after all. That’s a big disappointment nonetheless, and 24 more are in the mail as we speak. I voluntarily leave the most significant bit on the left because as the tubes are 7 dots only, this bit serves no purpose. Can you see the A? At the same time I am also working on a simple text scroller and a clock with transition effects between digit. It looks pretty darn cool and I will definitely post another progress report once the 6th board is complete. 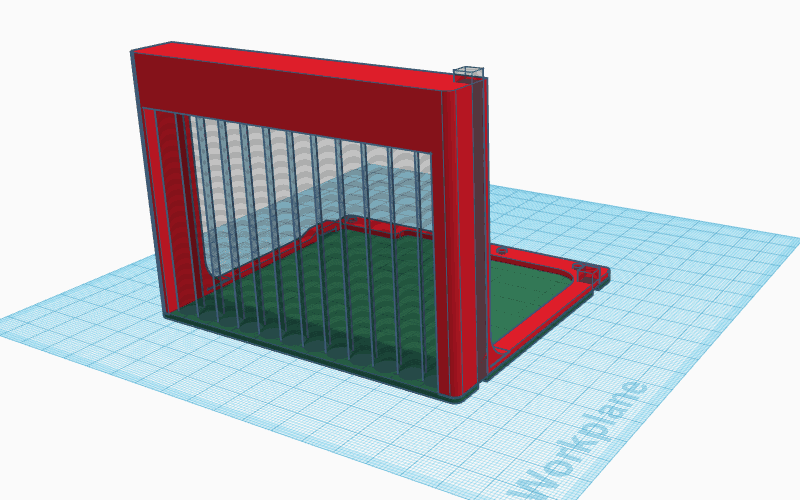 The last part of this project is an enclosure of course, which will be 3D printed. TinkerCad will do the work here. That’s it for this progress report, hopefully stay tuned for more updates! 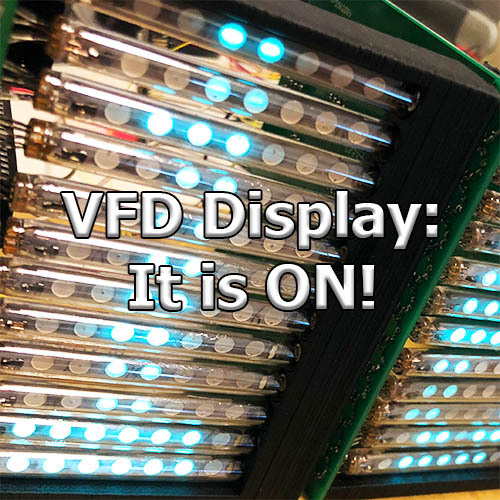 The VFD display is on! 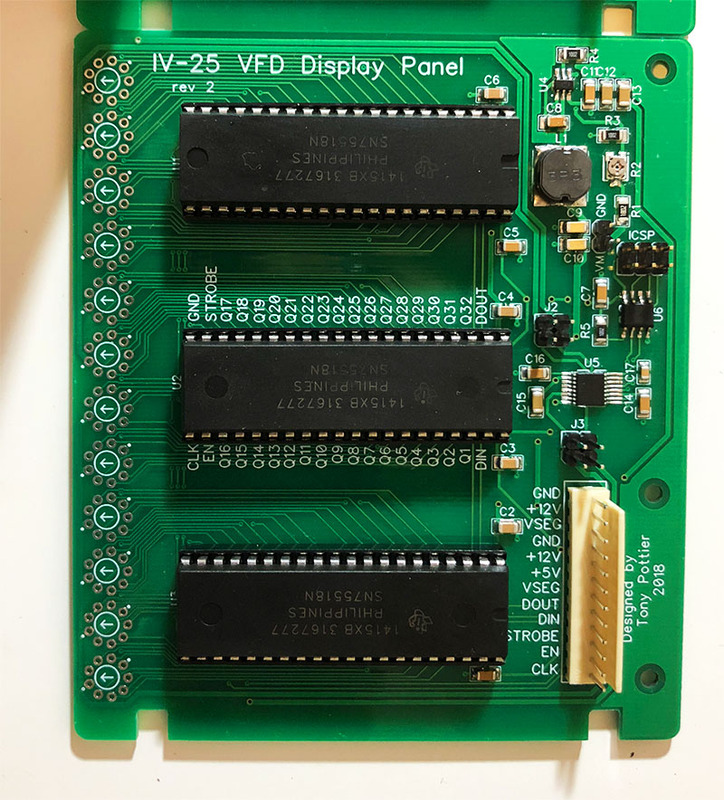 Next post The VFD display is on!